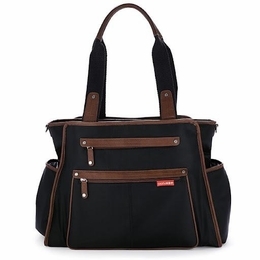 Grand Central Diaper Bag Black Russet - Largest Twin Store & Twin Gift Registry! Now you see it, now you don't. 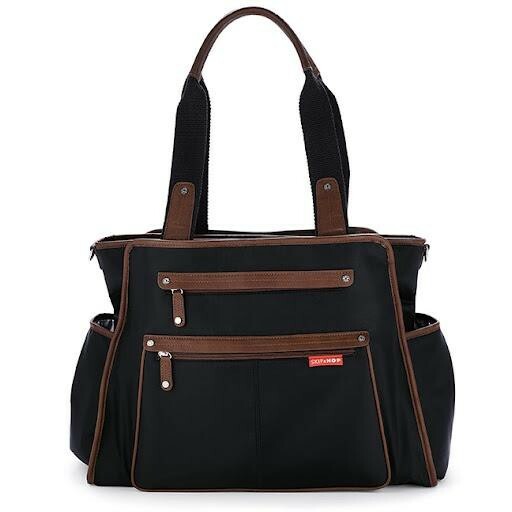 Grand Central diaper bag magically combines a compact modern style with an uncanny ability to hold more than you can imagine. 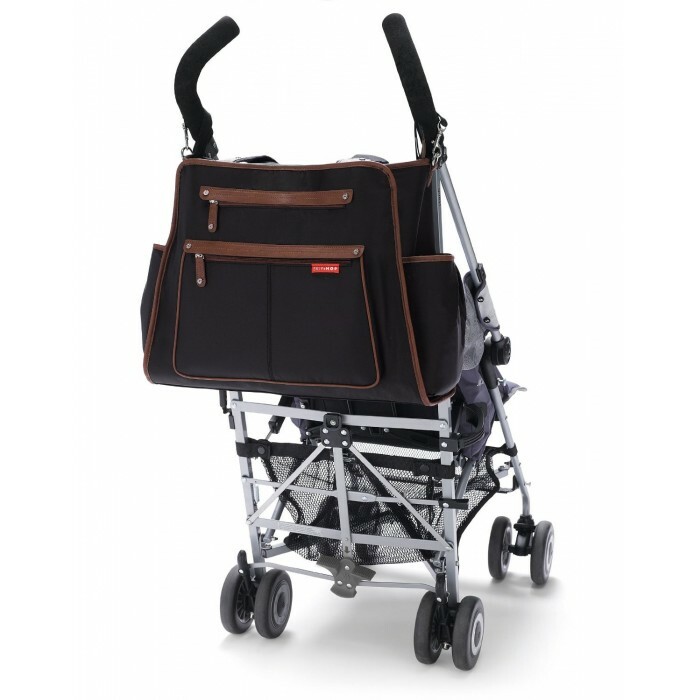 High on style and superb in storage, it holds as much or as little as you want it to. Take it out for the day or away for the weekend. 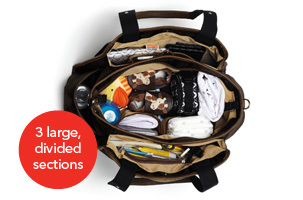 Grand Central's three innovative sections organize everything mom and babies need, without feeling over-stuffed.